Expekt bookmaker was founded in London in 1999 by Christian Haupt and Conny Gesar. Since 2000, Expekt.com is run out of Malta. Expekt's sportsbook casino and games are licensed in Malta, but the online poker service is licensed by the Kahnawake Gaming Commission. Since 2009, and together with BetClick and Bet-at-home bookmakers, Expekt is part of the BetClick Everest group, a prominent French enterprise in the range of online gaming and sports betting which now boasts approximately 4 million clients. Until November 2010, the group was known under the brand Mangas Gaming. Expekt boasts a solid customer base established in Denmark and Norway, yet in the last few years they have gained popularity in central Europe. 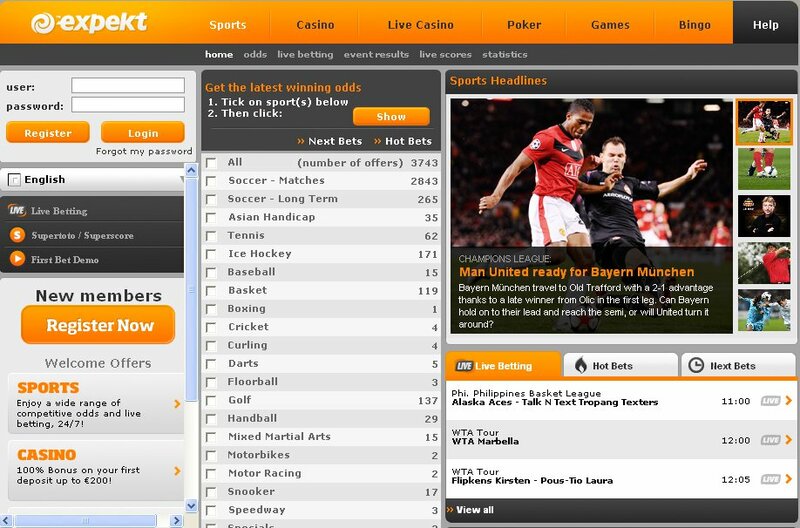 This top online sportsbook alone has over 150 employees and almost 1,5 mln registered customers. 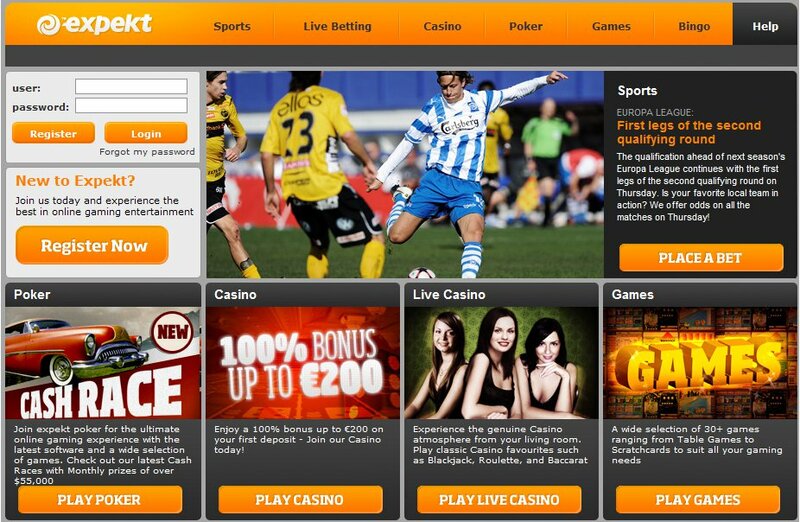 Expect.com’s betting and gaming offer is divided into the following sections: sport (the usual range of sports such as soccer, tennis, mixed martial arts, poker, table tennis, plus non-sports betting in Specials) casino, bingo, games, casino b, poker, and supertoto (with Supertoto XL coupons – 14 European top matches, and Supertoto Extra coupons – 10 games picked from the Champions League). Expekt bookmaker assures that it was created only for the Internet betting. For that reason, focusing only on the online service, it strives to offer their customers the best offer possible. Since 2009, Expekt Poker sponsors Scott Nguyen, a professional poker player who is a five time World Series of Poker bracelet winner. Expekt has also signed a sponsorship agreement with the Polish national football team. Mangas Gaming renames itself BetClick Everest Group.